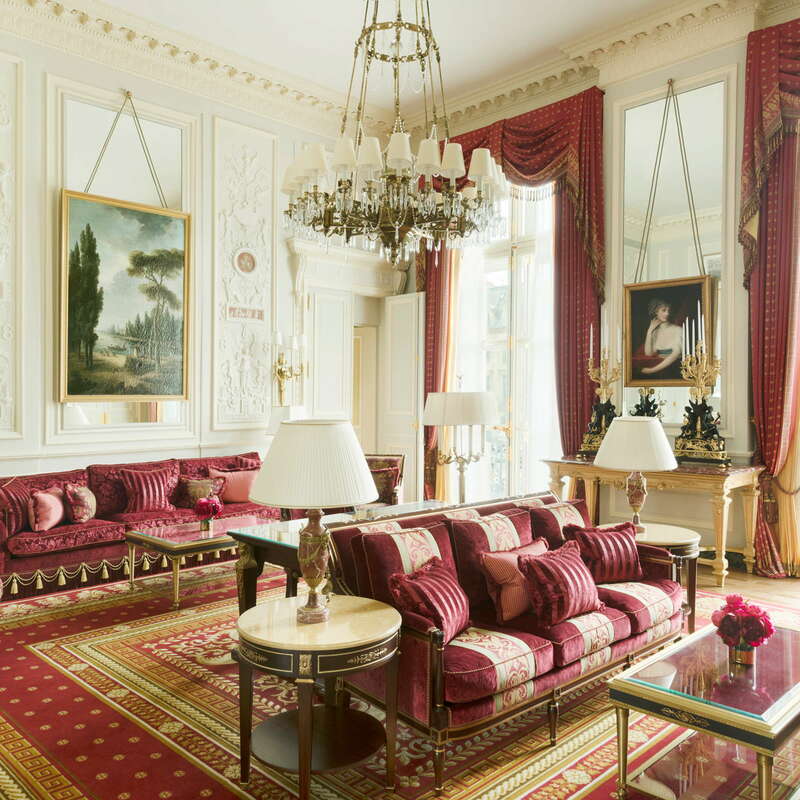 In novels, songs, and common parlance, there's not a word that evokes the romance and luxury of Paris better than the Ritz. 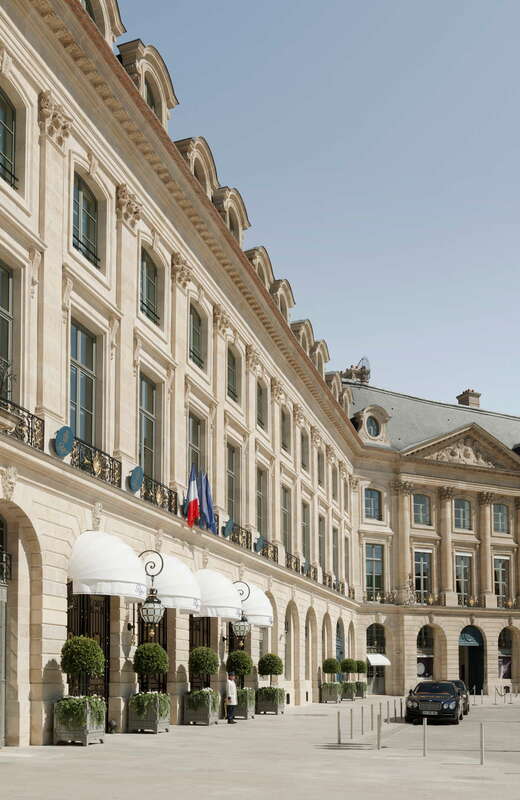 Since its opening in 1898, the storied hotel has attracted tout Paris, the personalities synonymous with the city who burnished the hotel's prestige with their glamour and mystique—Marcel Proust, Noel Coward, Coco Chanel, Ernest Hemingway. 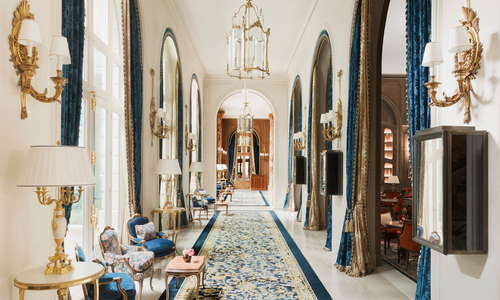 After a four-year, top-to-toe renovation, the palace reopened its doors in 2016 in the most hotly anticipated hotel event of the year. While all the revered nooks stay reassuringly the same, just buffed to a new gleam (including the hallowed Hemingway bar and the legendary pool), state-of-the-art enhancements include a sybaritic Chanel spa, a retractable roof over the interior garden, and a sumptuous restoration of each of the hotel's 143 rooms. 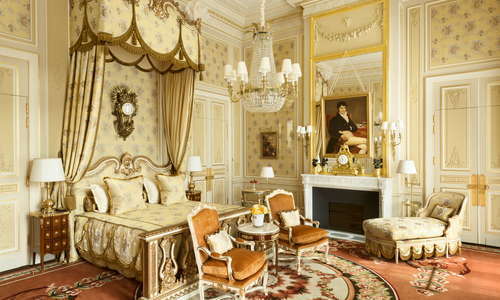 YOU SHOULD KNOW At over 1,000 euros a night for the least expensive suite, this is a place for high-rollers. So unless you're flush, or being bankrolled, you can find as much glamour and a little less attitude for less. But then, it won't be the Ritz. 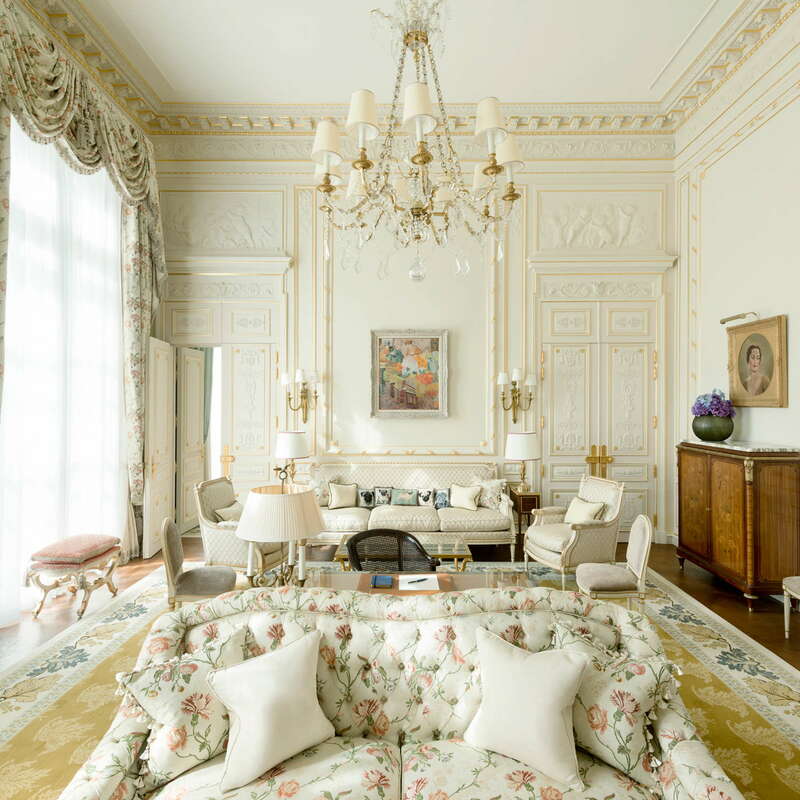 Suites, there are no mere "rooms," are the height of French opulence—think Marie-Antoinette on a bender—but all in good taste. 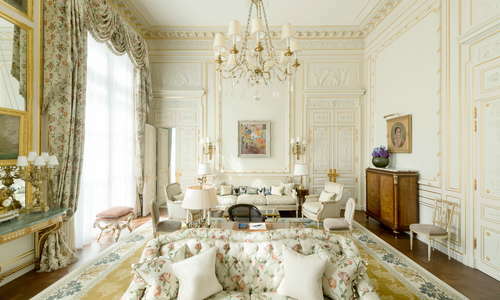 Expect elegantly draped curtains and upholstery in silk damask, chandeliers, gilt mirrors, antiques, original oil paintings, aubusson carpets, and a fireplace in every suite... all in dreamy colors against pleasingly pale walls. Some suites are duplex, some sport private balconies. 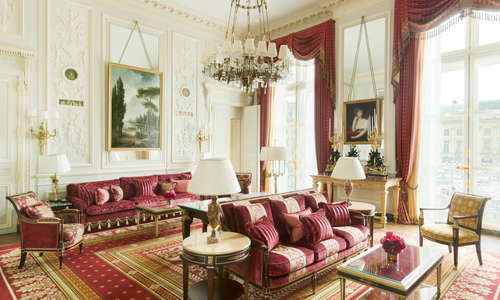 All have superb, well-stocked bars and the Ritz's apartments are peerless. YOU SHOULD KNOW Can you see a coffee machine in these rooms? We can't, nor can the Ritz. Coffee and tea will be brought to you any time of day or night. 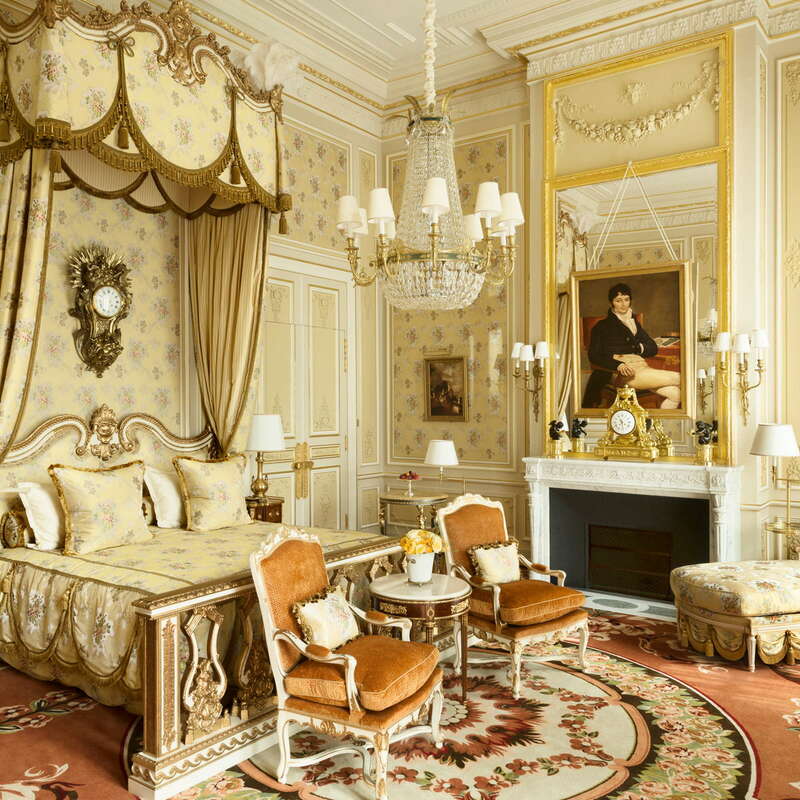 Gorgeous and spacious, as you would expect, all in marble with showers and baths in each suite (the golden swan's-neck taps and Swarovski crystal-topped handles threaten to tip the balance into ersatz) and some with daylight. César Ritz's famous peach-colored bathrobes (the better to highlight a woman's complexion) are classic. 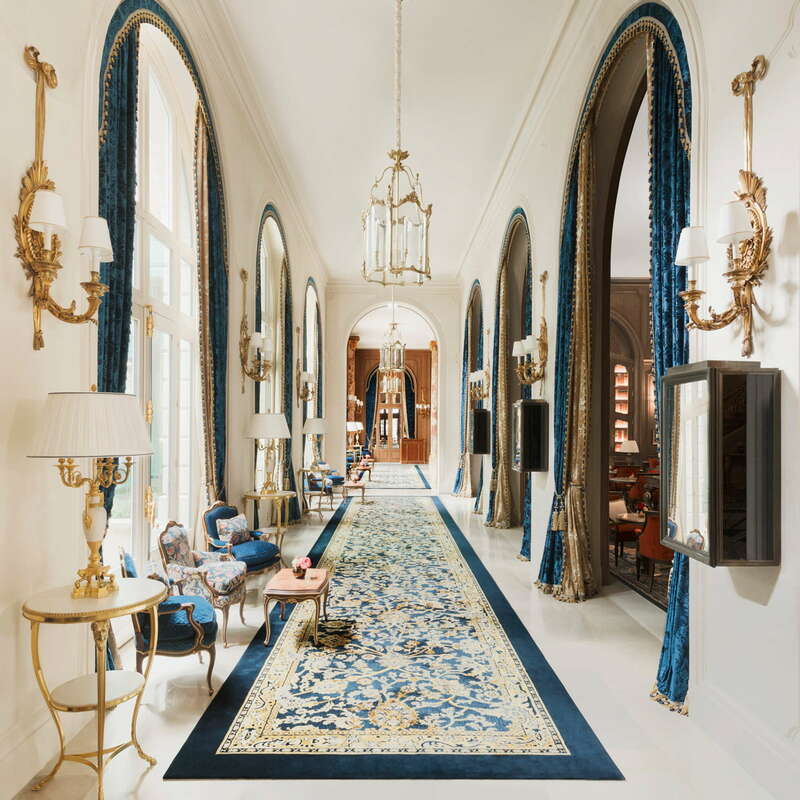 The splendid lobby is even more palatial after a mezzanine was removed to open the ceilings, but you'll still find the dazzling gauntlet of lounges—including the Salon Proust and an outdoor terrace for fine days—and shops as spiffy, if slightly daunting, as ever. 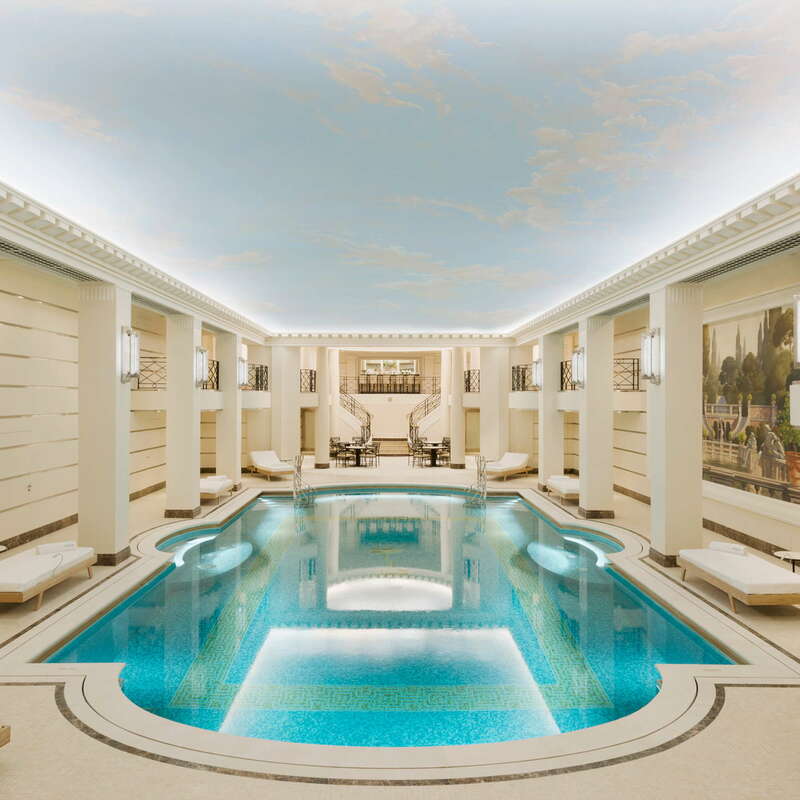 Paris's most legendary pool, its Art Deco facelift has significantly brightened and streamlined the design. 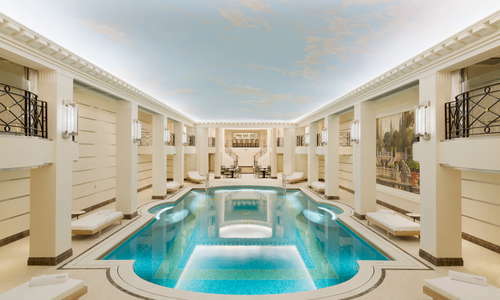 Members of the Ritz Club and benefit from the pool and special deals at the Chanel spa year-round. This is Paris's first Chanel spa, offering a range of luxury treatments, but, considering this is the Ritz, it is on the small side. You're in good hands at the jewel-like David Mallet salon; this is one of the best hair salon's in Paris. The gym's state-of-the-art equipment is available 24/7. 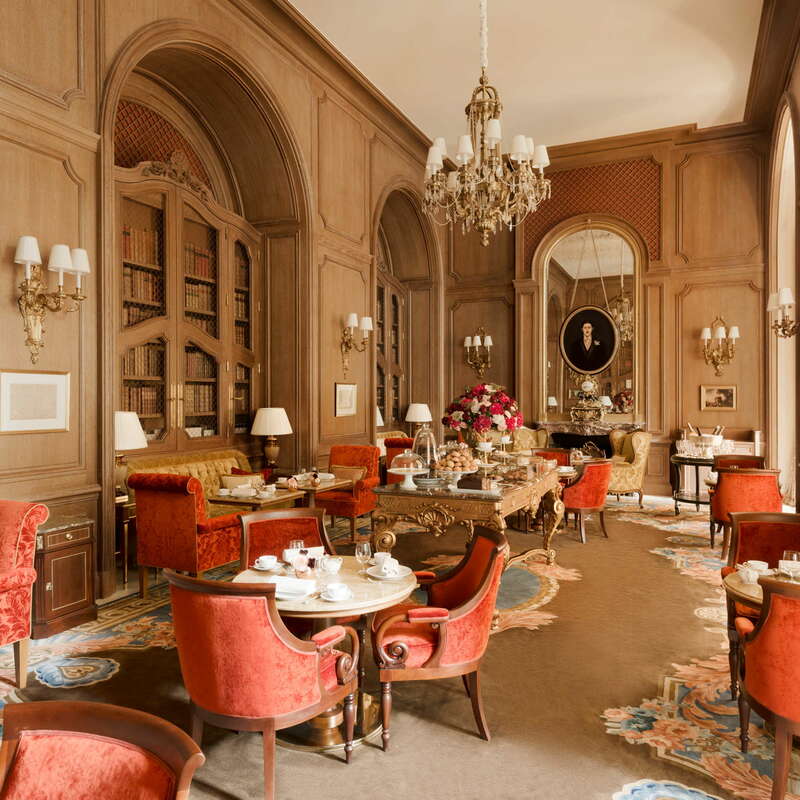 Two-Michelin-star chef Nicolas Sale dazzles at L'Espadon restaurant and the sumptuous brunch in the Salon d'Été is an unmitigated delight. A la carte breakfasts are copious enough to tide you over till dinner. 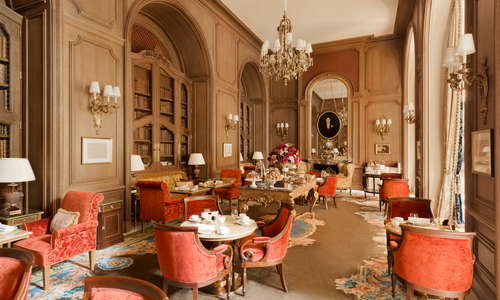 Teatime at the Salon Proust lounge is a splurge, although there are no savory choices on the menu, the sweets are divine. Classes at the Escoffier cooking school in the Ritz basement teach you everything from pastry making to the art of the cocktail. You have three bars to choose from and the choice isn't easy. The Hemingway Bar is one of Paris's timeless classics, but the ravishing Art Deco-style Ritz Bar—once relegated to women only while the menfolk smoked cigars at the Hemingway—makes for a difficult choice. 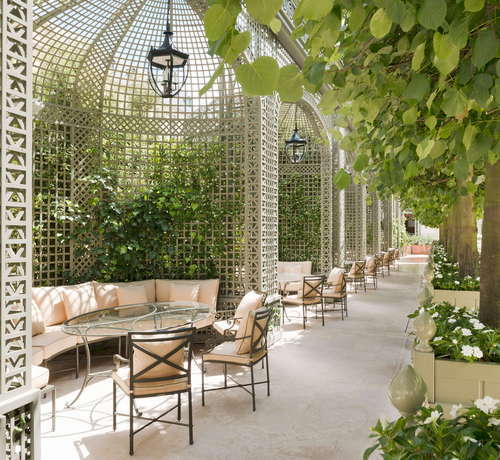 Bar Vendôme's atrium is a great choice for a spot of bubbly during the day. 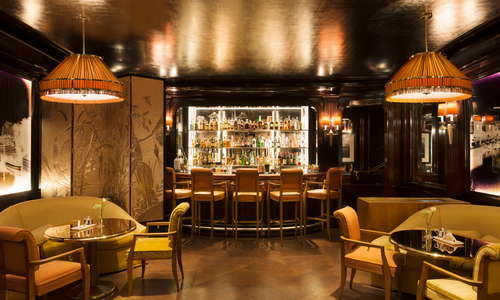 Bespoke cocktails at the Hemingway Bar are a Paris tradition. Close to the Tuilerie or Concorde metro stops for the line no. 1, Paris's central line. Five minutes from Opéra metro. David Rose's Spring, and his newer Chez la Vieille, are both exceptional. For a nice respite from all the pomp, Yam'Tcha's Franco-Français steamed buns are to die for. 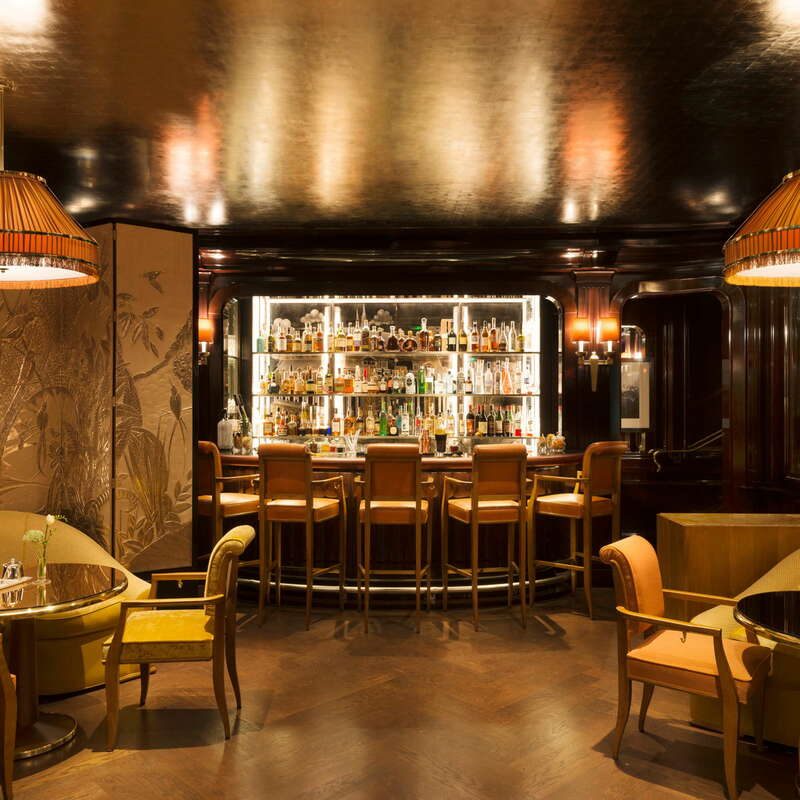 You hardly need to leave the Ritz, but there's plenty of great lounges to choose from if you do, starting with Harry's New York Bar or Bar 228 at Le Meurice, for a little change of luxury scenery. Forget the prices and the attitude, it is the one and only Ritz. It is glorious, and we love it.